Golden Globe nominee Oscar Isaac was all smiles for his interview with Kelly and Michael about the starring role of Inside Llewyn Davis. Kelly Ripa praised Isaac’s skills as a chameleon, slipping into different roles and appearances. 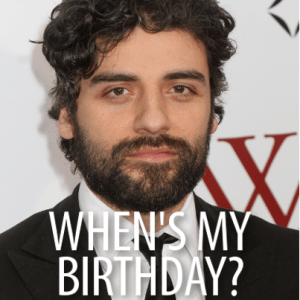 For some reason, the Internet thinks that January 9 is Oscar Isaac’s birthday, but the true date is March 9. Who knows why it is wrong online? When he was a child, Oscar Isaac was “invited not to return” to his Florida school. After seventh grade, he and his friend at the private Christian school decided to hop the fence, pet some animals on private property, and deface a mural. They also sprayed a fire extinguisher. Ripa wondered why boys always freak out around seventh grade. Everyone seemed to agree that hormones could have been the answer. Before Isaac could start at a more restrictive school, that building was destroyed in a hurricane. He enjoyed working with an amazing cast that was “philosophically aligned” and happy to show up to work. “You kind of just sit back and watch the magic happen,” he said. The brothers have a system down after making half a dozen movies together. In a scene from the movie, Davis is having a bad week and finds himself on a road trip, keeping himself company with a guitar. Inside Llewyn Davis is now in theaters, and you can see whether Isaac takes home the goal on Jan. 12.